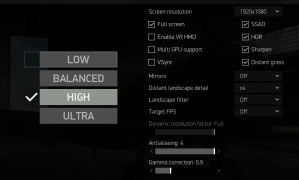 With the arrival of VR it is very important to be as close as possible to the 90fps, there are plenty of parameters to tune that affects the game performance (Supersampling, Low-Med-High-Ultra, Sharpen, AA filters, etc). Many of us really want to know if our CPU or GPU is limiting the game performance and want to tune the settings. Despite of my rig specs (not the best but decent, at 17-May-17, i7-4790, RAM 1833MHz, GTX 1070), I am not able to maintain constant 90fps, in fact, I am more time at 45fps than 90fps. I am thinking to maybe upgrade the CPU to 4790K, but first I need to see that CPU is really the bottleneck. I want to analyze how the settings will affect the performance in an objetive way. 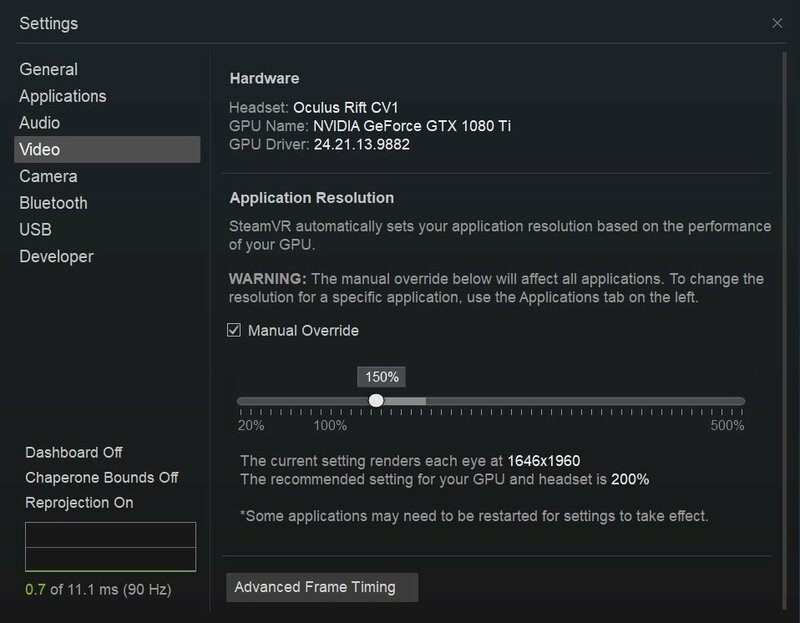 There are software that monitor our GPU performance while we are in VR (ie. FCAT VR) and log it, so we can analyze the trends and study the performance hit of the settings. The problem I find here is that I need to do exactly the same things (SP, mission, plane, map, time, clouds, planes in scene, etc) in order to compare two different settings, but it is very difficult to do exactly the same (head movements and actions). Also, other people with similar rig could say that they have other performance, but this could be due to mission, plane, map, etc. In summary, I need to compare apples to apples in order to evaluate the settings. My question: is there anyway to play test fly and replay it multiple times? This will be helpful to people who are considering upgrading their rig but don´t know well in what CPU or GPU or RAM spend their budget. 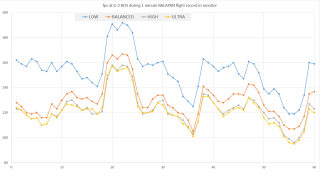 With the gently help of TUS_Samuel, who has created a new benchmark track for version 3.001 (previous tracks in version 2.012 didn´t work in 3.001), we have updated the links and the settings to run the new IL-2 performance test. Sometimes new versions make the Flight Records not valid anymore. So I have created a new benchmark track in BOK map with Spitfire. In theory anybody should be able to run it. Important: If you run the test, please post your results and rig specs in this thread. Thank you. 1. TOOLS AND TOOL SETUP. Under the "general" tab, uncheck "fraps window always on top". 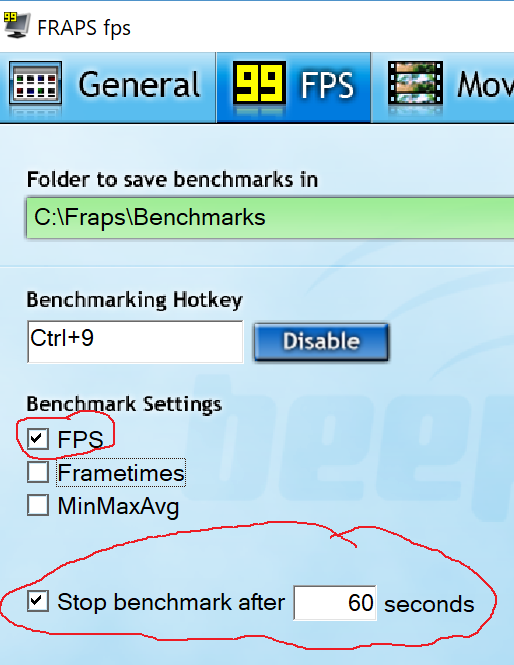 Under the "99 fps" tab, set benchmarking hotkey to "P". Alt-tab back to IL2 and you'll see the debug tool HUD hovering above everything else. Make sure the last line displays "Pixel Density : 1.32". 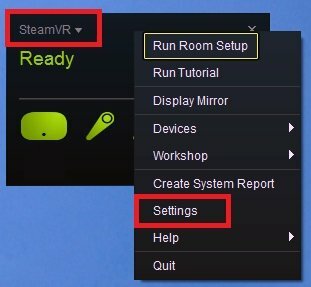 If not, close IL2, close Oculus Home (if opened), go back to step 2 and check SteamVR SS settings (if everything is OK, then just restart SteamVR, then IL2 and Pixel Density should display 1.32 within IL2). Back in IL2, the overlay HUD must read "ASW Status : Not available". If not, switch back to OTT, set ASW Mode to whatever else than it currently displays, then to off. Back to IL2, ASW should be "Not Available". 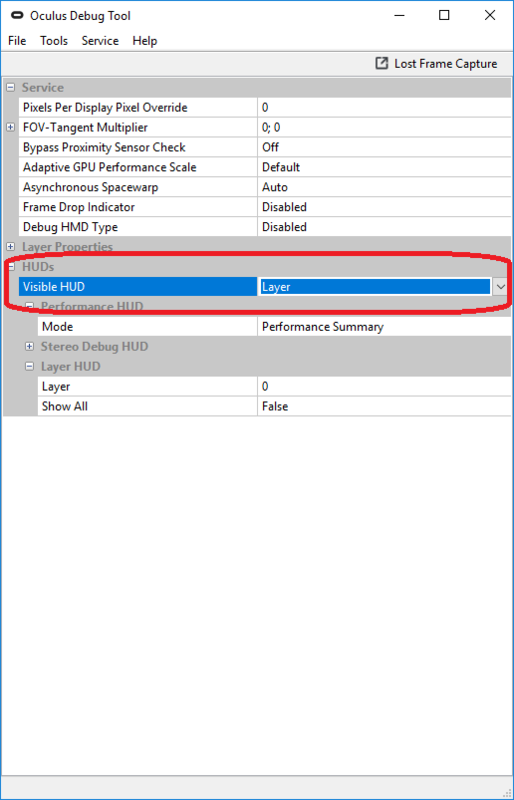 *If you didn't install OTT, you can use Oculus Debug Tool instead (you'll find it in Program Files\Oculus\Support\oculus-diagnostics\), see here. Start Fraps, if it's not already running. You don´t need to put the HMD in your head, try to fix the HMD to something (chair, table, etc) in the usual position where it would be your head. Activate the hmd by placing something in front of the sensor (I just use a hanky as below). For Rift users, if Oculus Home appear minimize it. 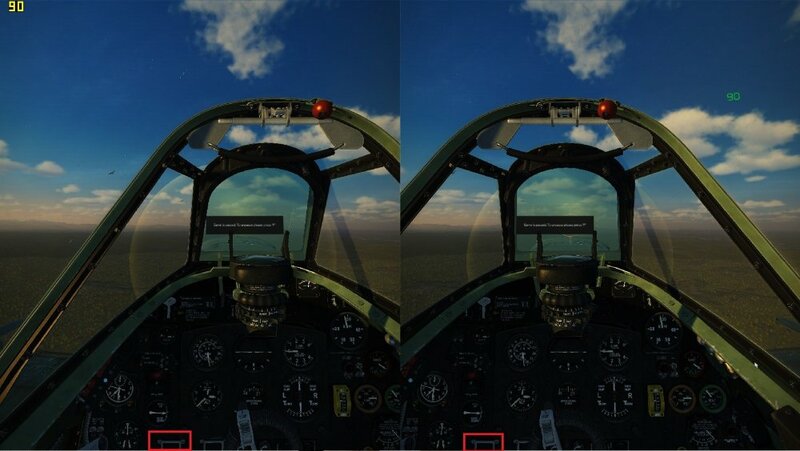 Start up IL2 and make sure you have the "Default VR view" under "pilot head controls" bound to something in your Hotas/keyboard. In your "Flight Records" menu, select and load the BOK.SpitfireIX.2bombers track (chili benchmark). Once the track is loaded do not unpause it yet. The below image is what you should see without touching anything. If needed, press your "Default VR view" button, as that function only affects the cameras position but not rotation, try to adjust your hmd rotation to match this image as well as possible. Notice the grey squares by the bottom of the screen, those are a good reference. Radek found that placing the hmd on a sweatshirt allowed for the necessary tilt adjustment. Important: The above picture is what you should see in the monitor view, not what you should see in the VR device. In this test you should not wear the VR device, just leave it fixed to a seat. Press "H" to hide the HUD. Press "P" to both: Start the Fraps measurement and unpause the track. Left the 2 minutes track run without touching anything. Find the folder you installed Fraps to. Inside that is a "Benchmarks" folder and inside that you will find a "FRAPSLOG.TXT" with the Frames, Avg, Min and Max fps values. There will be also the recorded fps in *.csv files that you can open with notepad or excel if you like to plot them. The above spreasheet also contain the tests from previous versions of IL-2 with the old Balapan and Samuel tracks. This VR test is just a measuring tool to measure the impact of hardware/software/settings changes. But it does not mean that if you achieve 60fps average you can not have a pleasant experience. The important thing is how you see it in your own eyes, not the fps you achieve with this test. Running at 70 or 60 fps is not as tragic as people might think, the important thing is to don´t go below 45 at any time. 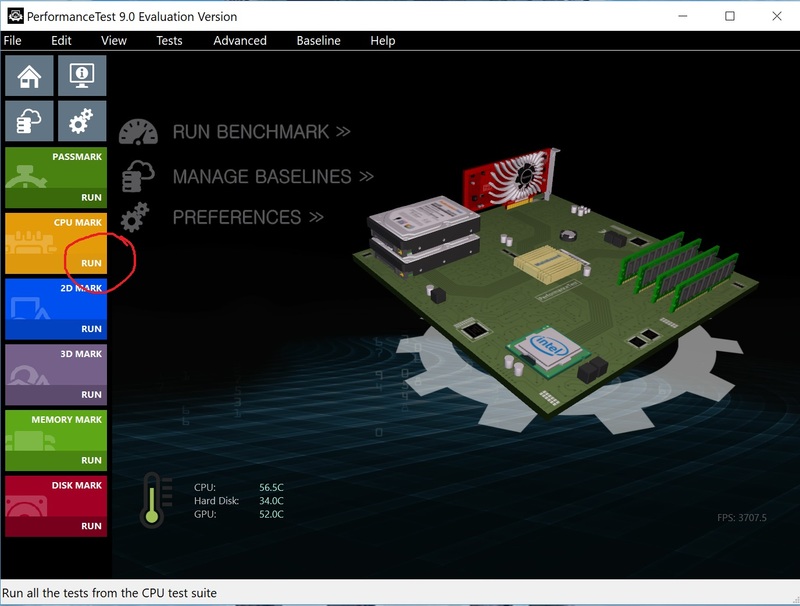 The game have other settings (BALANCED, LOW) to allow more modest CPU to run smoothly. 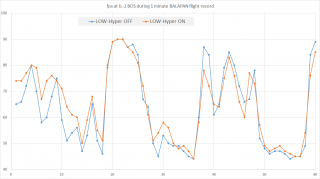 Instructions for measuring and comparing IL-2 performance with monitor. Exactly the same than in the VR procedure above. Start up IL2. In your "Flight Records" menu, select and load the Samuel track "Benchmark". Press "P" to both: Start the Fraps measurement and unpause the track. Left the 120 seconds track run without touching anything. I'm on a very old and slow rig, so need to upgrade everything. Still I would appreciate knowing what kind of hardware to aim for. But I've never heard of a way to log performance in il2. 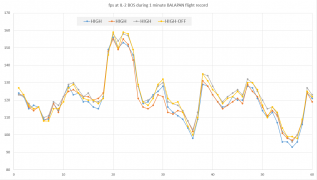 Eyeballing the fps-meter during a mission on autopilot (what I usually do) is much less than scientific. Drop it into the "tracks" folder. Using Fraps you can get average fps during replay. In general results were that the bottleneck is the processor frequency. The higher the frequency the better results are. 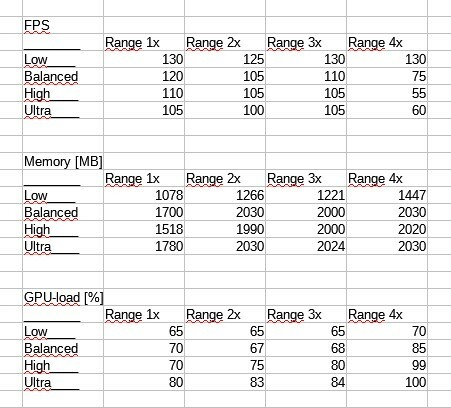 People with gtx 980ti were getting same results as those with 1080ti graphics having similar frequency on processor. When replaying in vr mode try not to move head while replaying, or you can set rift on the table put a piece of paper to trig the sensor in rift, recenter view. (nothing Intel will beat it at the moment without going Dual CPU or spending 3-$4,000 just to get 7700K over 5ghz on special liquid cooling to compete. But is the ryzen1800x not a an 8-core at only 3.6ghz? I was sure Box like many other games didn't take any advantage of more than 4 cores. Am I wrong or missing something? Thanks for sharing that Balapan. Suspected il2 was heavily dependent on cou frequency, as even a slight OC to an older gen cpu makes a hefty difference in framerate. 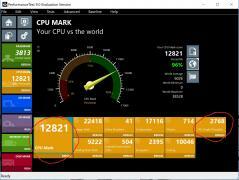 Curious though, did the high end i5's score as high as the i7's? I read somewhere that IL 2 utilizes only 2 cores, so I think higher frequency per core is more important in this game. Also some people reported gain in fps after disabling hyper threading in bios. 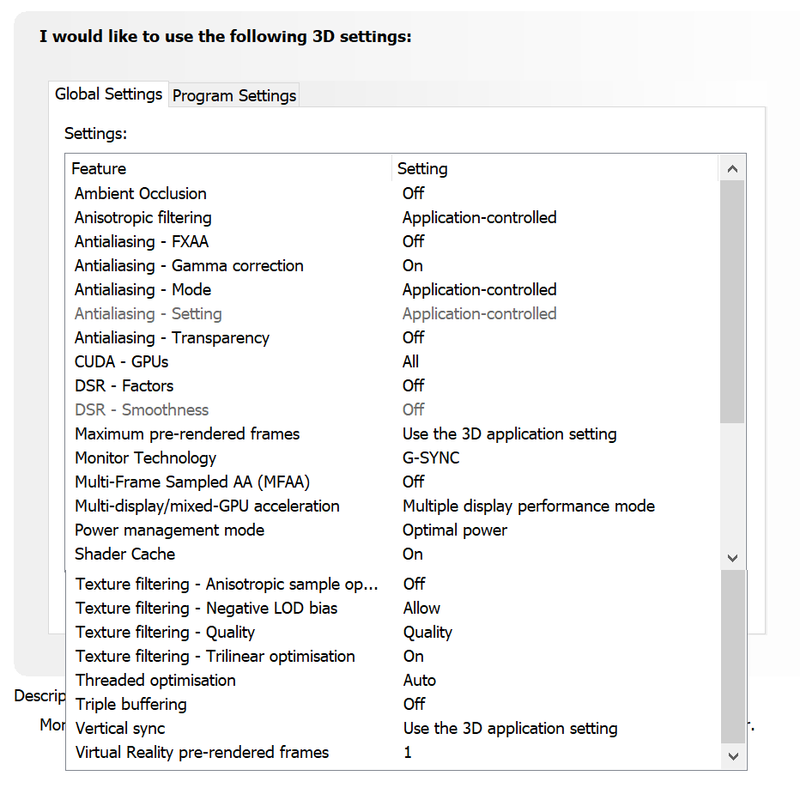 On my system disabling HT give me better results on monitor, but in vr actually drops average fps a little. Fantastic Balapan! Would give you a medal if I had one. Haven't viewed the track yet but guessing it's a demanding one. Did they all run the same graphics settings? If so I want to draw the conclusion anything above a 980ti/1070 Gpu (rather equal performance) won't do give that much. And that It's an as fast as possible quadcore we need to hold a steady 90fps. Il2 seems to utilize all my 4 cores equally. With core one, a percentage or two higher loaded than the rest. Never goes above 55% load according to Windows and real temp. Which I find strange, but as it's an old generation motherboard/i7 there could be other bottlenecks besides cpu ghz. Yes they were supposed to use same graphics settings. Just checked on forums about cores utilization, you are right box utilizes 4 cores only. That all four cores are used has little to do with the game, it's just the OS moving execution from one core to another on a regular basis. The 55% you are seeing is consistent with others are reporting. I would guess the game uses 1 or 2 threads for rendering, another one for simulation and AI, maybe a couple more for network and for UI, and that's it. Rendering and physics/ai are the heaviest ones and will use 2-3 cores, the rest is pretty light in comparison. To improve on that they'll need to move to dx12/Vulkan for rendering, and rewrite physics/ai. Not likely to happen any time soon, I'd guess. 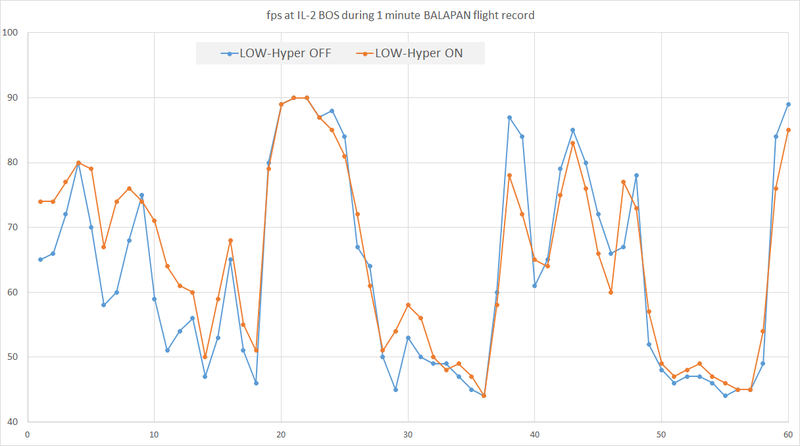 Thank you Balapan for your input, I used the flight records in BOS two years ago but since then I didn´t realize that they can be actually used to do common baseline performance tests. I downloaded your flight record (I think it is one of the most demanding ones: Stalingrad city, multiple bombers, clouds, a lot smoke, a lot shooting, etc, in summary a typical heavy scenario), many thanks for creating it and make it available to others to compare performance in a more objective way. Then I fixed the rift in the position where it would be my head and put something inside to activate the head sensor, and didn´t touched during all the tests. 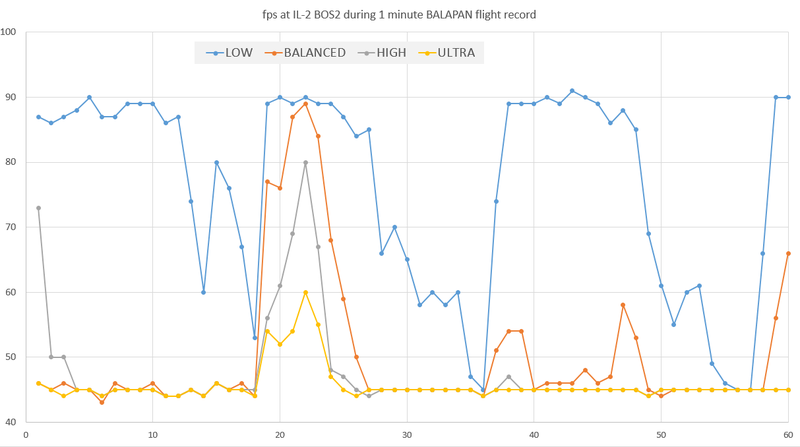 Then I run the Balapan test flight for the 4 graphics setting: Low, Balanced, High and Ultra. After this initial tests (I am planning to do more to see how every option hits the performance) I realize that my rig is deficient even for Low settings. Quite frustrating after investing in a GTX 1070. Most likely the CPU is the guilty guy here and I will need to do something about it. Maybe I missing something but my fps rates are horrible! I am going to analyze the load of the CPU for the same tests. I have heard MSI Afterburner, any other CPU load tool recommended? I don't think turning hyperthreading on or off should make much difference in itself...I always thought that only reason to turn off hyperthreading is so that you can get a higher overclock. Well, my first test to put some objectivity over the hyperthreading thing in VR. I have just conducted a test with LOW settings with Hyperthreading ON and OFF. I have just corrected this post. The Hyperthreading has a negligible impact in the VR test. Previous test was wrong since the orientation of the Rift was not exactly the same. That's a surprisingly high difference I would say. Good to know for people who have an i7! Another interesting piece of info is that there isn't much difference between ultra, high and balanced, but going to low gives a good boost. I have been taking a closer look at the table that Balapan created (many thanks for this precious info!). 1.- The LesNOY_Leshinss test is not coherent with the other results. It is very unlikely that a 6600K (passmark 8004) with 980Ti obtain almost same VR results than Balapan with 7700K (passmark 12183) with 1080Ti. And better in monitor. He will probably was using different settings. 2.- The m0n0type beast i7-5960K (passmark 15971 and more than 1000$ CPU) with 980Ti was below Balapan in VR (not in monitor). Here the 1080Ti helped for VR. It would be good a test of 5960K with 1080Ti just to know the increase. 3.- The RR_Kraft test shows that having a 1080 is not enough for VR. The i5-2500K (passmark 6461), even with OC, is not power enough for VR. 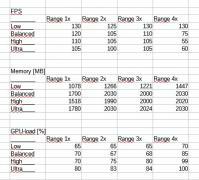 4.- The 1/SG2_Ganeshka test uses a decent CPU 6700K (passmark 11107) with 1070 card, but just changing 0.1 the OC the average fps increases in 12!. This demostrate that a 1070 would be enough for VR, but a powerfull CPU with OC is needed. Let´s see if we can know the test settings and more VR users can do their tests. It would be specially interesting the VR test of the Ryzen CPUs which have a good passmark/price ratio. and if they could be extrapolate to BoX, the Ryzen is a clear choice. Anyone using Ryzen in VR? Ok, but if your only game is BoX in VR. Are you going to spend more than strictly needed? 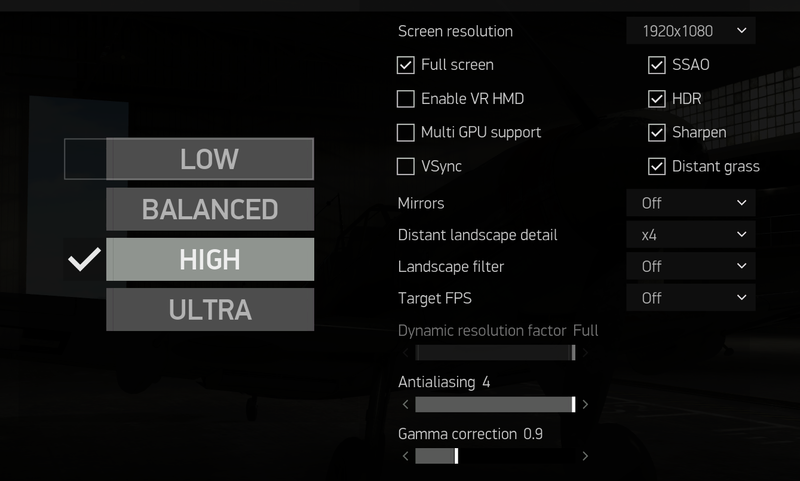 It would look like there is no need for anything above a 1070 or 980ti for il2 in vr. But we don't know their settings. I would asume supersampling taxes the gpu more than the cpu, so those wanting to run 1.5x SS could still have use of their 1080 gpu's. All in all what I read from balapans sheet; if you can produce an fps of +180 during normal 2d gaming, at all times. Only then can you expect a steady 90 fps in VR. posted by Han 23 december 2016. "Frequency is supreme, so 4.4 4-core is better choise now. One day when we will split simulation to several threads - cores will supreme." So I guess I'll skip that 1080ti, and go get myself a 7700k with a very big fan. As right now, today, there are no alternatives. Well, I am on socket 1150, so I could try the i7-4790K just replacing the CPU and OC to 4.4, But I am not sure if this would be "enough". Otherwise I have to do a bigger change (motherboard, memory, CPU...) and I would prefer to do this in two years with the second HMD VR generation. But a new 4790K is still surprisingly expensive (390$!). I would try to see a second hand and then sell my 4790. Also you can use bypass proximity sensor from oculus debug tool instead of physically triggering sensor. Another thing is - there weren't some settings present at a time those test performed (mirrors,landscape filter), so you probably can have them off for tests. Hi all! In 2.010 performance has become little better. I'll do a new test in the evening. We need to use the same settings to get comparable data. You have Power Management set to optimal instead of prefer max performance. Do you find this doesn't make any difference? After the upgrade to 2.010 my system showed stuttering for the first time with "range 4x" and ultra-settings. It was obvious things changed quite a bit so I did some testing to get a feeling for it. My system: i5-2500K at 4.4 GHz, 8 GB RAM, SSD and a NV 960 GTX 2GB VRAM with 2 screens (1920 x 1080 @ 120 Hz for 3D, 1280 x 1024 @ 75 Hz for maps etc), for the test no sharpening, no Anti-Aliasing, no further gimmicks. Testbed was a Ju-88, Stalingrad summer map, single plane quick mission a pos. 1019, 500 m altitude, immediately after launch I switch it to autopilot, jumped through the positions, checked the view outside the plane etc to get something like a "representative average". FPS as seen in the game. For GPU-load and GPU-memory I used a tool "TechPowerUp GPU-Z". On my system "range 4x" has the biggest influence because of the 2 GB memory limit. The 960 GTX GPU still does the job quite good, I find remarkable stutterings only with "Range 4x" and high or ultra settings. I made another short series adding my preferred settings "sharpen", "landscape sharpen" and "AntiAlias =2x", there is a minimal impact: max. 5 FPS less (< 5%), no effect on memory use, only the GPU-load was 10 - 15 % higher. You are right, I change it to "Prefer Maximun performance" but apparently it has no impact in the fps. I assume that I was not in the limit of the GPU with the previous option. I have been doing some more testing with the Balapan Track and I discover that the results (fps) are not the same for exactly the same settings. The reason is the orientation of the head (how much sky versus cockpit interior you see). So, it is difficult that all people put the head (Rift) exactly in the same position. But it is valid as an averaged benchmark. 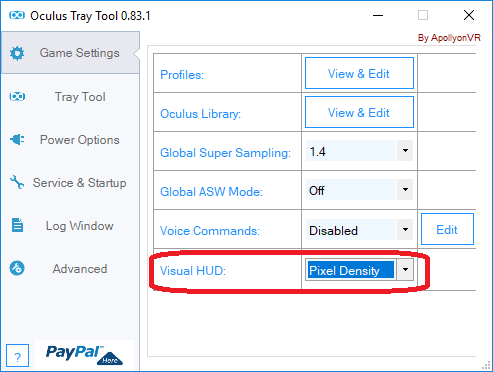 As note, even in you disable ASW in the Oculus Tray Tool, it comeback to auto, so if the fps is between 45 and 89 you will see 45. To disable ASW during the track use Ctrl+NumPad1, so you have all the fps range between 90 and 45. 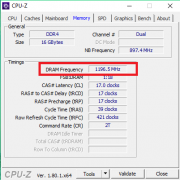 So, if the GPU nor CPU are overloaded, what could be the reason for the low performance? would a CPU with OC solve this problem? How you guys do to show numbers above 60 or 120? I'd suggest the main game thread is likely the bottleneck and is possibly being switched across cores. This could be hiding you from seeing the thread maxing out a CPU core? My settings seem to have very little impact on actual performance (average fps, min, and max). The only thing that changes is my GPU usage. If I set SS to 1.5 on ultra i get up to the high 90%s in GPU utilization, and with HUD off I get 90fps a decent amount of the time. But when I drop SS back down to 1.0 I get the same fps performance, albeit with my GPU usage averaging around 50-60%. I would expect never to go below 90fps at these setting, and yet my fps are almost the same as the settings above. It's almost like my GPU is throttling back for the lower settings. This leads me to believe that there must be a bottle neck somewhere else in the system, but I can't figure it out. My CPU cores rarely get over 40%. I wonder if it could have something to do with the tracking system. OP Why not a set flight recording that everyone can run this way there is no interferance player inputs/controller lag/network lag and other issues. And set the video card to run @ max clock and max power while the game is running even if game dont need it. Thanks! 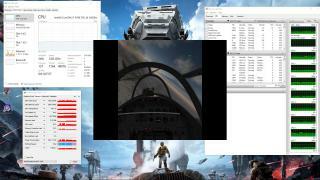 Can I do this through the Nvidia Control Panel? In order to test the performance on just monitor I tried to set "Vsync" off, but the fps didn´t go beyond 60, which is the freq of my G-Sync monitor. So, I tried with another monitor (HP Pavilion 27xi, which is 1920x1080 at 60Hz) with Vsync off and then I was able to go beyond 60 fps, shown in Fraps and in the BOS fps indicator. I just wanted to record this data since I will upgrade my CPU to the i7-4790K and will compare the impact of having OC. I would expect never to go below 90fps at these setting, and yet my fps are almost the same as the settings above. 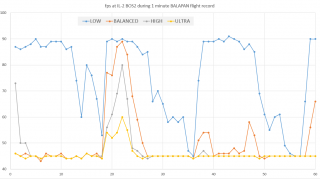 Have you run it with the Balapan test (or other record) or are they just looking at the fps within BOS? How you have compared fps with SS1.0 and SS1.5? It is really strange that with a 7700K and 1080Ti you go below 90fps with SS1.0 and HUD off. Yes, like many science experiments the observer influence the experiment. But despite of this, the loads of CPU&GPU were not at max. Something else is bottleneck. This is exactly what Balapan created. Just a recorded flight in a complex scenario that everybody can download and test in VR and in monitor. The link is in above posts. 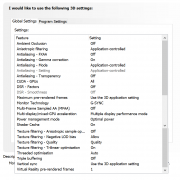 Thank you Shadow for sharing your settings but I have put them in my card and I obtain about 7 fps less performance than before in a monitor. Since I have seen you have published this in the guides and tips section I will reply you there. There really is no correct and only Nivdia settings for everyone, as everyone's systems, hardware, and expecations are different. Chiliwili. Thank you for sharing your tests. I think you'll be very happy with that 4790k and an OC. If you can sell your non 'k' the upgrade shouldn't be too expensive, and keep you going until gen 2 hmd's are here. I was until recently running an i7 920 @4.0ghz and a gtx1070. 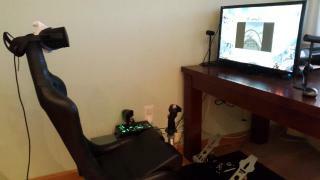 Playing online, I got an impressive 90fps most of the time with that ancient setup. Only dropping down to 45fps when below a ~500 meter height. Balanced settings. Had a gtx970 when I first bought the rift. and though the 1070 gave an increase in fps, it was nothing against a 3 vs 4 ghz oc of that old i7 920. Been running my new pc for a few days now and though I'm using the same gtx1070 difference is night and day. 7700k @ a modest 4.5ghz oc, 3000mhz ram. On most taw maps (online) during busy hours, it will hold 90fps from starting the engine on the ground to landing at the end of a sortie. With hud on! I'm not running any SS as I find it makes spotting more difficult. There are single player missions so heavy they can get me down to 45 fps when on the ground. All in all very happy with the upgrade, for me personally 90fps vs asw makes a big difference. I consider the balance between CPU, memory and Gpu requirements of this game very well made. Unlike many that rely mostly on Gpu performance. Just look at the way forests are drawn based upon where/how your looking at things and from what height. Saves lot's of memory and Gpu rendering, and allows for large yet detailed maps. But the CPU has to do a lot of calculations constantly lod:ing it all. With VR my theory is that rendering it all twice, at 90 (180) fps was just not what this engine was built for. And CPU clockspeed requirements, to hold 90fps per eye, went through the roof. Radek I'm in a similar boat to where you were. Had an i7 930, decided to double down and pick up a used x5675 hexacore and OC to 4.3ghz to tide me over, currently paired with a 390x. I only play in VR and I do zero editing/workstation tasks. I'm sitting on the money to finally put the old LGA 1366 system to bed once and for all but I don't see any great options. I am going with a custom water loop because I want to and already have the res/pump/radiator. I feel like the best bet for me with what is out right now is to get a delid 7700k from silicon lottery, paired with a 1080ti (seahawk ek x). The issue is that there's no upgrade path as 1151 is likely at the end of its life. I'd love to support AMD and go for a ryzen build but I feel like I'd be gimping myself since my number one use is VR gaming, and almost exclusively this sim and Elite dangerous. I suppose AM4 will likely support zen2 so there's a possibility that going with a relatively cheap 1600x now and then swapping in the future would be a good route but that's not guaranteed and I'm not sure if the 1600x at 4ghz would hold the watercooled and overclocked 1080ti back. (I know I don't need the GPU power now for IL2 but waterblocks are expensive and I want the GPU to last a good while). Any advice? Sorry if this is a little off-topic.  Basically the question is: if you had a very high budget and wanted to build the best computer possible for IL2 VR...what would you build? I don't want to wait for cannonlake! Daisy, you'll probably get lot's of advice but mine is, don't invest in a super rig right now. I buy new or upgrade very rarely so like you I aim at the best there is when I do. But with the current cpu situation changing rapidly now I just didn't see a point in that. And still wanted to play il2 at 90fps. Now. 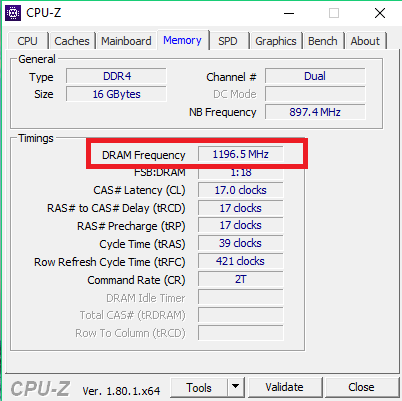 Il2 and Elite in VR (like many other games today) seem to be dependent on single thread performance, and this was my reason for choosing a 7700k. To be honest I don't feel the 7700k has much headroom for these games in VR. So I fear the 1600x would not be enough. A 6-7ghz quad would be more like it. But even then, in 2-3 years time when more games are proper dx12 and second generation hmd's are out, a 6-7ghz quad would still be outclassed as much as a 1600x platform by whatever is out by then. So while I'm as happy as everyone else about Amd putting pressure on intel. My best option right now was to buy as much single threaded performance I could get for as little as possible, view it as a temporary 1151 and 4-core dead end and then invest in a super rig once this CPU situation has stabilized, gen2 hmd's are out and il2 goes multicore. Asus have good cash back deals so you could probably pick up a 7700 with a cheap mid class motherboard for relatively little. Only ad some "not top of the line" ram. In my opinion this is just not the time to buy a cpu and expect the longetivity the 1366 platform gave us. Got myself the noctua d-15 cooler today. Could probably stuff my cat in to the chassis but not sure this thing will fit. If it does, I'll try to fraps some comparison benchmarks of Balapans track at stock vs whatever ghz I reach. I am quite happy with the results in VR for a moderate overclocking. It didn´t surprise me that with a 4790K at 4.6GHz and 1070 video card, I am having a very slightly better performance than Ganeska with a i7-6700K at 4.7 GHz and 1070. The passmark of the 6700K is 11107 and the 4790K is 11197, the VR tests just confirm that. It is also true that maybe Ganeska the previous built of BOS. Overall, the 4790K is a decent CPU for BOS VR. The best that the old 1150 socket can afford, and in VR not very far from people with 7700K and 1080Ti!! I am holding off upgrading for at least another year, currently the gains for me I don't think would be worth the dollars spent. And my system is so rock solid and stable. However if I were upgrading now, I would go for the 7700K in a heartbeat! Just did some tests with the 7700k and a Gainward 1070gs (slight factory overclock). 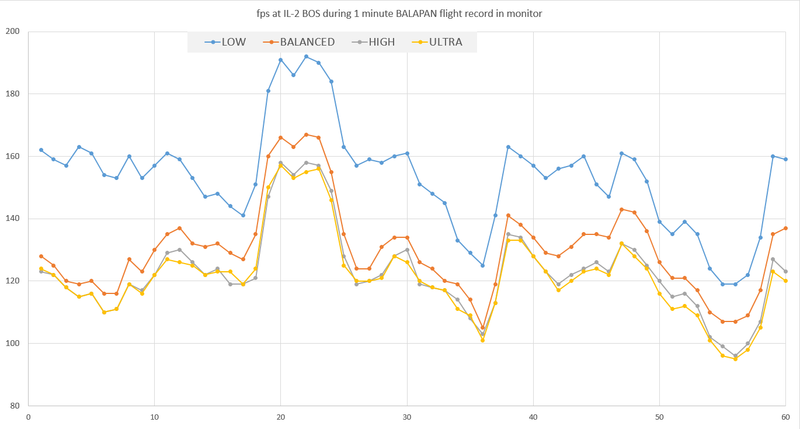 Regular monitor benchmarks with settings at high, and the rest according to Chilliwili's post #32. Hyperthreading on throughout. And also running a modified terrain.ini file to up the resolution of the ground textures further away. This according to previous tests gives me a framerate hit of only -2fps on average. Found these results so suprising I did another one. So, my conclusion is that ram speed has more of an impact than I thought possible. All these tests were only: cpu core ratio, memory mhz, voltage cas# and Ras# to cas# mem timing tweaks. Will do another benchmark once I've had some time optimizing it all and gone a little further in clock speed. Thoroughly impressed by the 7700k oc ability. Everythings running very cool and with a modest voltage @4.8ghz. Perhaps I had such low expectations after reading so many negative reviews regarding heat issues and this cpu. @Chiliwili I'm glad it all worked out for you. Did read your other thread and for the love of everything don't run core voltage on auto Download Aida64 unless you already have a preferred stress test tool. And under "tools" choose system stability test. This stresstest is not as heavy as some but will give you more realistic gaming temperature readings. 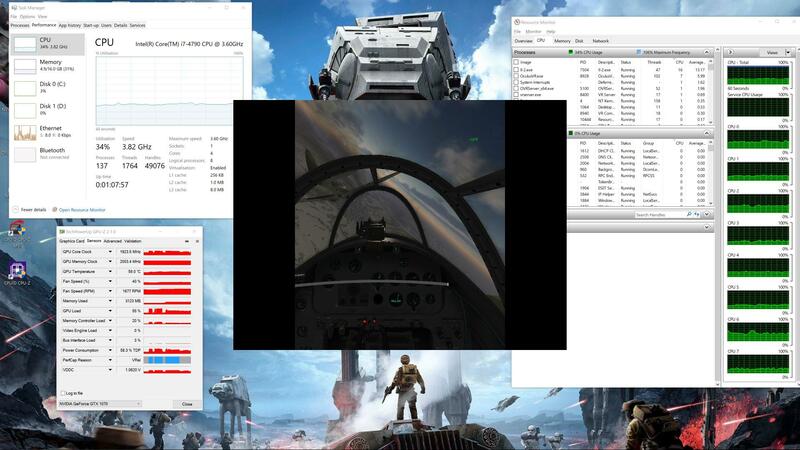 It also has the option to stress the Gpu at the same time to make it all more accurate. Should not take you long to find your lowest stable core voltage. Auto usually over voltages, giving you more heat/fan noise, alternatively a lower max oc.